It wasn’t until the repairman came about the furnace that a 32-year-old man was discovered dead in his shower. The water had been running, exhausting the hot water in the apartment building, and after his neighbors complained the maintenance man and landlord discovered the cause. The landlord, Fred Willette, and the repairman, George Glass, both said something smelled foul when they entered the apartment, which they initially thought was garbage. “It got stronger once we got to the bathroom. Almost threw up when I pulled back that shower curtain at the sight of a naked man,” said Glass. 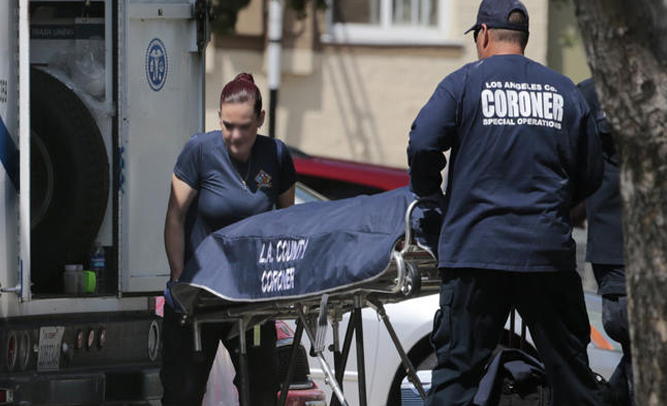 Autopsy reports have yet to be released, but building supervisor says the man’s apartment was littered with empty beer bottles and cans, which may explain why he lost consciousness in the shower.